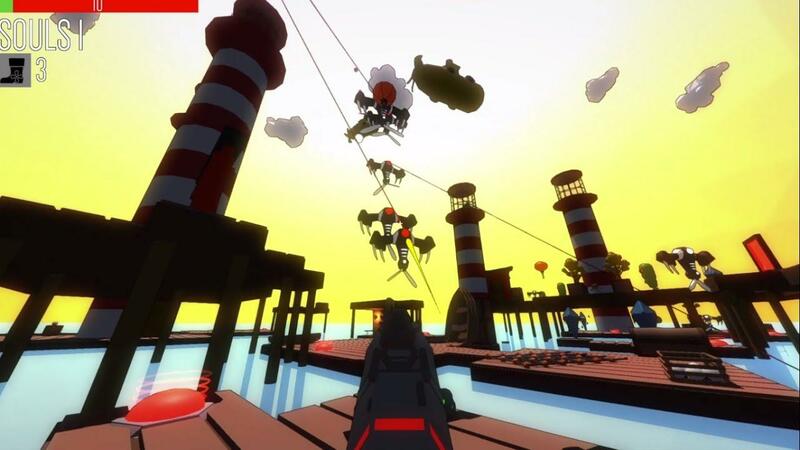 Polygod, the difficult FPS from Krafted Games is officially leaving Early Access on August 17th and it sure does look fun. Skill based gameplay - Built upon a principle that if one lacks skill, it can be substituted for strategy and vice versa. Eg. unskilled strategic players will be just as good as skilful nonstrategic players. Classic FPS controls - POLYGOD’s controls are reminiscent of Quake 3 and the original Doom, bringing a classic gameplay vibe back having been absent since the 90’s! Not one I've personally played, as we have no contact with the developer. It doesn't have a lot of reviews on Steam either, but it's showing as positive overall for what it has. You can get the current Early Access release from Humble Store and Steam. I'm tempted by the "if ya ain't got skill, you can use strategy" thing. 'Cause folks, I just ain't got skill. I enjoy (by which I mean I need) games where I have the freedom to figure out something other than a full-on frontal fusillade. This is one to wishlist and watch.